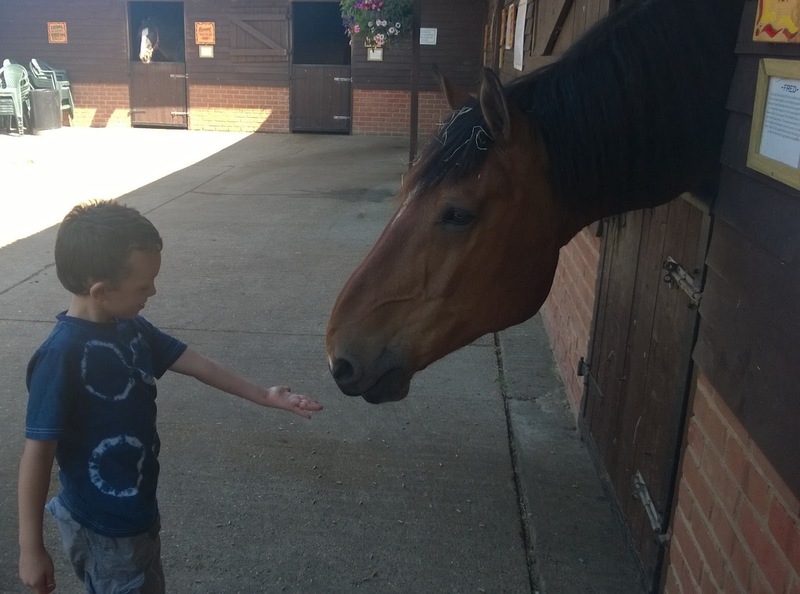 Yesterday we visited an amazing place for the second time in two months - The Heavy Horse Centre in Dorset. It was an instant hit with all of us and I can see us returning time after time. 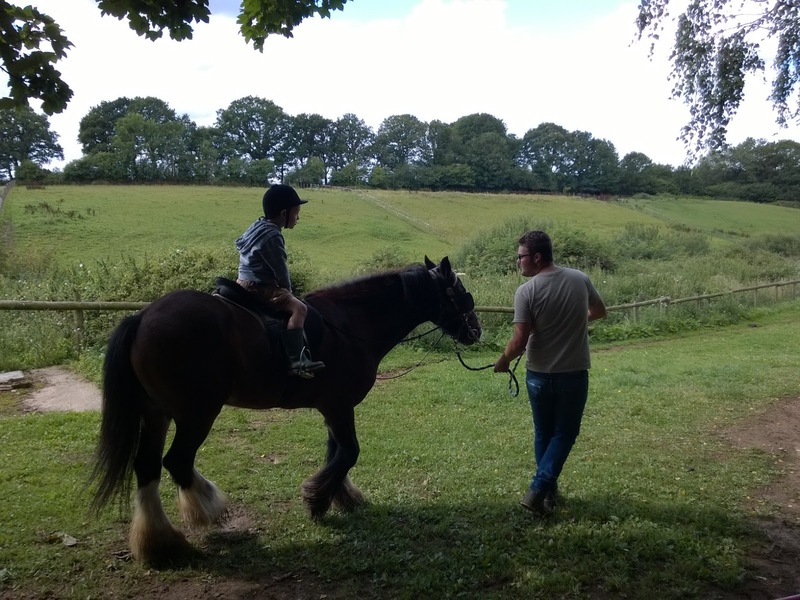 The centre is host to a huge range of horses and attractions such as bouncy castles, traditional fairground rides and a great play park, but it is the sheer showmanship of the owners and staff which makes it something really special. The first activity of the day is the talk on heavy horses and an introduction to the stars of the stable, including Fred (pictured with Ollie). Kids are given the opportunity to lead a pony drawn cart of food buckets over to the horses during the talk, then the talk splits to give parents with young children an opportunity to go on to a children's tour while the rest of the main talk continues. On the children's tour kids are introduced to the other residents of the centre and given an introduction to the roles that horses once played in history, as doing the milk round. Children are given flat caps to wear as they help to take breakfast to the animals. After the talks there was a demonstration of tacking up a cart horse and then the horse-drawn cart rides begin, with one lucky child being given the chance to drive the cart. Ollie was beyond excited to have this chance as the horse was none other than the star of the 'War time farm with Ruth Goodman' series he had been watching. 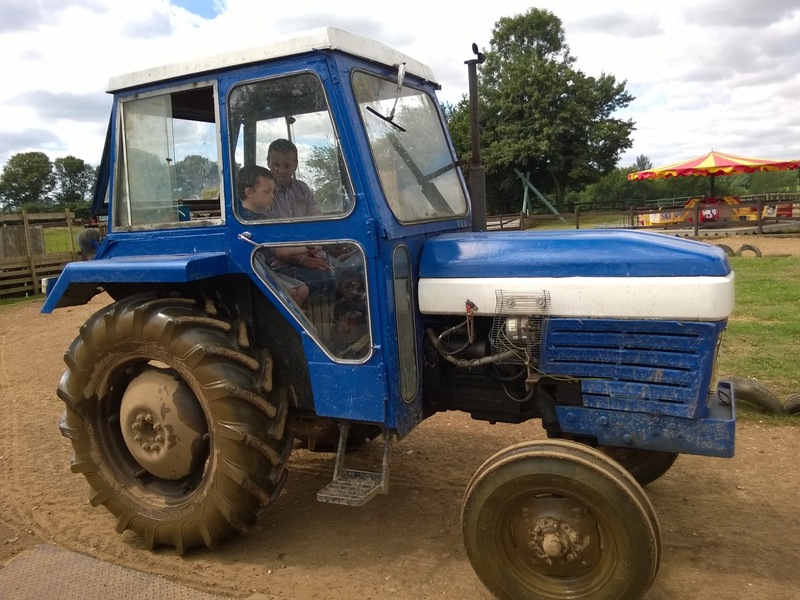 Another amazing opportunity followed on from this as the boys both had a go at driving a proper tractor, sitting alongside a member of staff and steering it around the course. 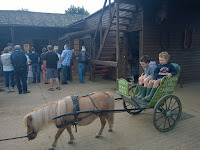 One of the cutest sights was of the boys enjoying a ride in the miniature pony carriage. 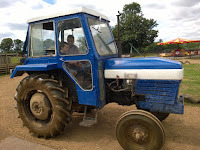 They also hugely enjoyed the other attractions including the toy ride-on tractor course and the pedal cart track. On our second visit we treated the boys to the only thing you need to pay extra for (apart from bags of animal feed if you want them) - a ride on one of the smaller, and frankly slower, ponies at the centre which both boys enjoyed greatly. 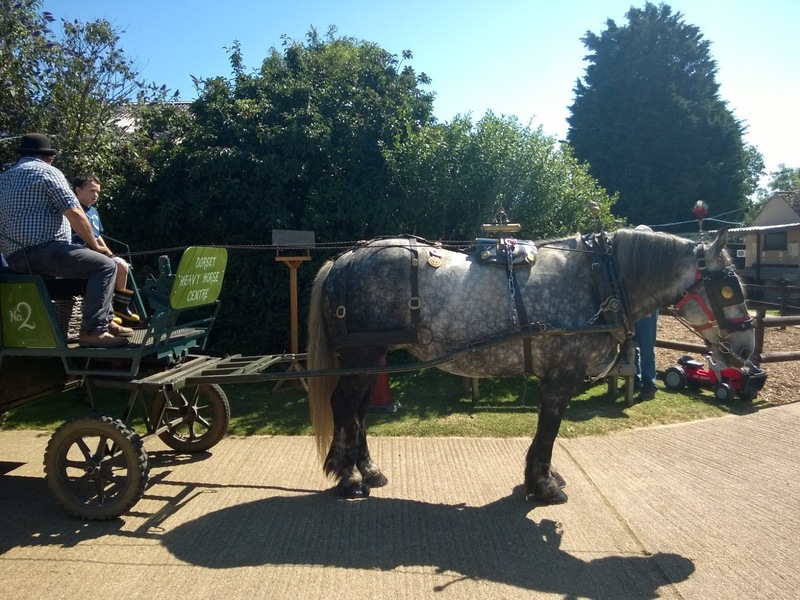 We were all fascinated with the history on display at the centre, including beautifully painted gypsy wagons and a circus showman's trailer complete with oak panelling. Of all the great things there my favourite was just the chance to hand feed and stroke the beautiful grand horses. I will always have soft spots for three in particular. Blossom, who had a difficult birth and is as a result a sandwich short of a picnic and who fell asleep while I was stroking her. Sultan, a huge gorgeous lad who had a lucky escape after being bred for the French meat industry. And finally Fred, who gave me my marching order when I came to stroke him without any food in my hand and swiftly instructed me to go and get some by means of nudging me in the direction of Matt who had a bag of food. I've only written about a fraction of what is available to see and do at the centre, but it will certainly be a place that we return to time and again. Facilities and accessibility: the site is very accessible (we saw folk in wheelchairs and other with pushchairs accessing the site without difficulty), there are toilets, including an accessible one. The baby change facility is awesome (I'll leave that one as a surprise for if you visit). There is also a café serving hot and cold food and drinks, and a gift shop.